This Christmas the Rising Stars team went all out to bring you entertainment of the highest quality. We dressed up as elves and reindeers and went under cover as Santa's helpers in the North Pole. Our mission was to retrieve some of the letters or wish lists from people all over the world. But it gets better. We didn't just get the wish list of anyone; we got the lists of some of the best football managers in the world. This is what they want from Santa this Christmas. I am not going to waste my time on small talk. It has been years since I won anything. I have forgotten what the colour silver looks like, that's how long we have been trophy-less. Sorry for the outburst Santa, I apologise for being rude. This Christmas how about letting us win for a change? If that's too much, then how about a decent goalkeeper? Did you see our match against Manchester United the other day? Even I didn't know who our keeper was. He was sitting in the stands before the match and came to me for an autograph. I thought it was physically impossible to be a worse goalkeeper than Fabianski so I gave the kid a shot. I helped a kid fulfil his dream; that counts as a good deed, right? PS- Pairing us against Barcelona again... not cool. I know you have been looking after me these past few years and I thank you for that. The Champion's League win with my previous club and then a job at arguably the most dominant club in the EPL, things were good back then. I don't know if you have noticed but things have taken a turn for the worse. Our key players are injured, the bench is weak and inexperienced, our best striker misses penalties at crucial moments and we just can't seem to win. So please do send in a quality striker. Eto'o will do. Torres wouldn't be bad either. The only gift I want this time is an answer to this question. Why me? Seriously, everything I touch turns to crap. You saw what happened to my previous club and now my present club isn't doing so well either. All I want from you this time is to make sure I get to keep my job, that's it. Things are bad; I am the only manager on earth that can get the current Barcelona squad relegated. HELP ME. I did not send you this letter for any gift of any sort. The Special One does not need to beg, he has everything. I just wanted to make a transfer request for three of your fastest elves. I am willing to pay sixty million pounds for each elf. What do you say? 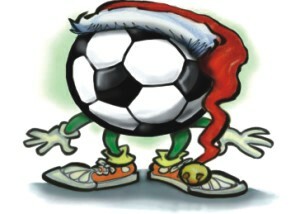 For this Christmas I want you to make more football competitions. So that we can win some more trophies. That's it. With the last night of the year fast approaching, the world has broken into frenzy. Someone is doing something somewhere to celebrate the 31st of December. While discos, DJ nights, badminton tournaments, watching television or simply snuggling under the warmth of your blankets on your winter-friendly comfortable bed might be your pick for a perfect ending to the year; some of the more adventurous lot has found sanctity at new heights to embrace the New Year. If you're wondering if these heights are well beyond your reach and perhaps under the blinding lights of The Big Apple (where according to television all good things happen); you're sorely mistaken. This adventurous lot is found in Bangladesh and has been organising one of the most anticipated events of the year the SunFest. 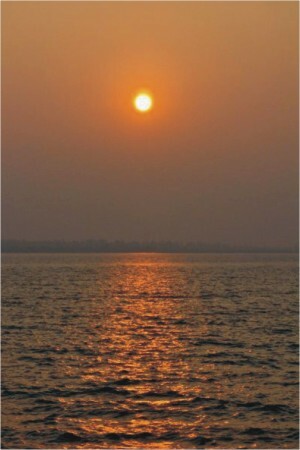 Since 2001, Bangladesh Astronomical Association (BAA) has organised SunFest as an annual endeavour to watch the first sunrise of the New Year. The first time, in 2001, BAA travelled to St. Martin's Island and sighted the sun. In later years, the group has visited amongst others Sundarbans, the peak of Kewkradong, Nijhum Dip, Rangamati, Shunamganj and Durgapur. An exciting opportunity for travel and adventure, SunFest throws a fresh perspective into the celebrations of the New Year as well as towards promoting tourism in Bangladesh. With each new location, travellers experience an aspect of Bangladesh at an entirely different dimension and become more familiar with the unending natural miracles our dear motherland has to offer. This year will be no exception. On the completion of its 10th year, the sun festival will take place in Lauchapora, Sherpur and is now open to interested participants. The journey begins on 30 December 2010 and ends around midnight on 1 January 2011. This year's highlights include a kite flying festival, fanush, floating lamps, local musicals, a workshop on making airplanes with children and of course, the rise of the sun. The organisers have promised an adventurous, tiring and intriguing trip, one that will test limits but offer rewarding memories! In momentum towards the festival, BAA and INCITAA TOURISM have jointly launched a photography exhibition at Alliance Francaise de Dacca (Dhanmondi) on 20 December 2010 with Channel I as the media partner. The exhibition features selected photographs from 10 years of SunFest and it is indeed quite an exclusive collection. Photographers include representatives from renowned print and electronic media outlets, namely Ashraful Kabir Kanak, Kobi Alfred Khokon, Zia Islam, Farhana Alam, Mir Farid, Adnan Fakir, Nouroz Imtiaz, Mostofa Mamun, Trisha Samira, Ziqrul Ahsan, Robab Rossa, Zahidul Islam Shipu, Tutul Nesar and Nasima Huq. The exhibition not only aims at raising awareness towards the natural magnificence of Bangladesh and inspire science, exploration and adventure but also provides a rear view at the greatest moments of the festival. It will run till 31 December 2010. If you're looking for a different take on this New Year's Eve and up for a challenging yet unforgettable adventure, SunFest is just the place for you! For more information, contact Masudul Hasan Jaiedi at 01818015570. The topic for the last issue of BetaWriters was Smoke and Mirrors. The entry below twisted the topic quite a lot, but the writer did complete justice to it. This week, our topic is Post Apocalypse. I Am Legend and Hollywood aside, try to come up with something that truly captures the imagination. Entries must be written within 600 words and sent in before noon Sunday to ds.risingstars@gmail.com. Cobalt blue eyes shone, in sharp contrast to the curly blond hair that remained glossy in the faded photograph that had been tacked to a bathroom mirror for twelve years. The edges were frayed, and splashes of water had smudged it in spots, but Riley hadn't replaced the photograph. No, because this photograph had been placed there by her father to remind her how much she looked like her mother; her deceased mother; the mother she had never really gotten to know. And why? Because her mother had crashed into a tree to save a dog that had been giving birth in the middle of the road; her sacrifice, so sacred an act, had cost her life - or so Riley had thought. She pounded her forehead with her fist, trying to find an outlet for the rage, the confusion that was coursing through her veins. How could she have been naïve enough to believe that? No one was that perfect. Riley's life was an illusion: she gave everyone just what they wanted from her. She was her Daddy's little princess; she was the silver-tongued, opinionated and confident leader that her friends needed; she was the organised, bright and attentive student her professors loved. Since the age of six, Riley's mother had become her inspiration. She never understood that living up to someone else's memory, appearing perfect through someone else's eyes made her, in fact, the exact opposite. Caught up in the act, Riley never paid heed to just how reliant she had become on that one photograph… on the way she remembered her mother, the way she flipped her gleaming hair over her shoulder. It had taken Riley several years to replicate exactly the way her mother used to do it. Now, all Riley could imagine was blood flowing from those wrists and misery smouldering in those sapphire irises. All because of one blasted letter. Why would she leave me behind? Riley's head was throbbing. Her father had hoodwinked her. He had never realised how much it would affect Riley if she ever discovered the truth. “If Mama could do it, so can I.” That had been the one mantra she repeated whenever she needed to overcome an obstacle. The delusion of her mother's perfection compelled her to equal, if not surpass it. This revelation left her feeling like the ground had crumpled from beneath her feet. She felt trapped- trapped in a life built on a foundation of lies; trapped in the mind, the heart of a person she barely recognised; trapped, when she looked into the mirror, in the face she had grown up idolising- trapped in her own face. She imagined the cold blade of the knife slice into the tender skin at her wrists; felt the fury, perplexity and anguish flow away with the hot, shockingly scarlet blood. But the anticipated pain never descended; moreover, it felt as though the smoke had cleared. When she looked at the mirror and photograph, it was as though someone had rubbed away the fog and allowed her a tiny glimpse of who she really was. She wasn't the coward her mother had been. She was better. That made her smile.